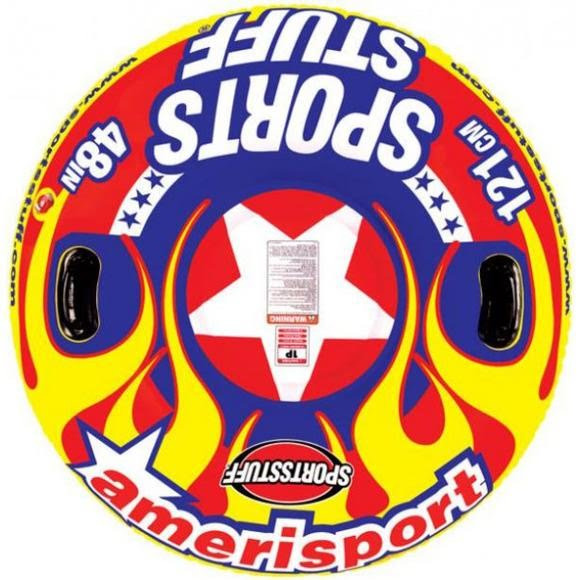 The Sportsstuff Amerisport is a hot classic round snow tube made extra large to enable various riding positions! Fly down your favorite sledding hill gripping the oversized PVC molded handles and feeling the air cushioned comfort of this giant Americana joy ride. The Sportsstuff Amerisport is a hot classic round snow tube made extra large to enable various riding positions! Fly down your favorite sledding hill gripping the oversized PVC molded handles and feeling the air cushioned comfort of this giant Americana joy ride. Enjoy the bright patriotic graphics of the Amerisport all year round by thrashing down the slopes during the winter or lounging in the summer at your favorite pool, beach, or lake.